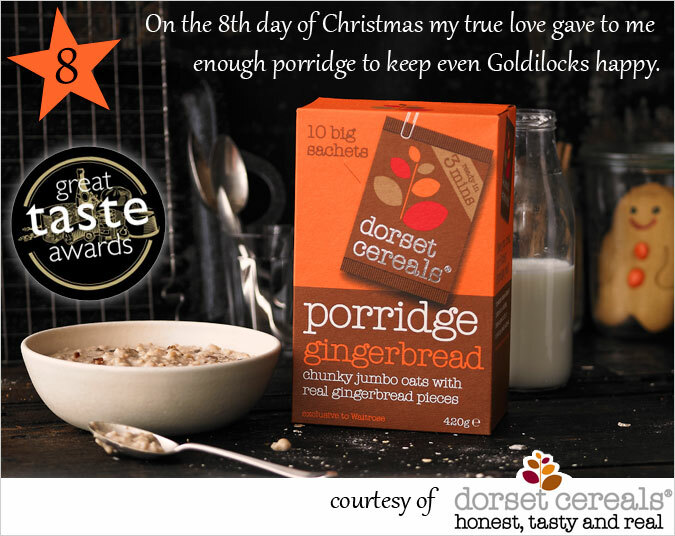 Enter today’s 12 days of Christmas competition to be in with the chance of winning the entire new range of Dorset Cereal’s porridge, and a smart set of breakfast crockery to eat it with. Goldilocks would be jealous! With flavours such as Gingerbread, Honey and Raspberry, this prize porridge is the perfect winter warmer. Dorset Cereals make unadulterated breakfast cereals that are honest, tasty and real. They believe life’s too short to settle for second best, and that simple pleasures are often the most rewarding, which is why they spend time visiting supplies, buying the best ingredients and blending them carefully to product delicious products.